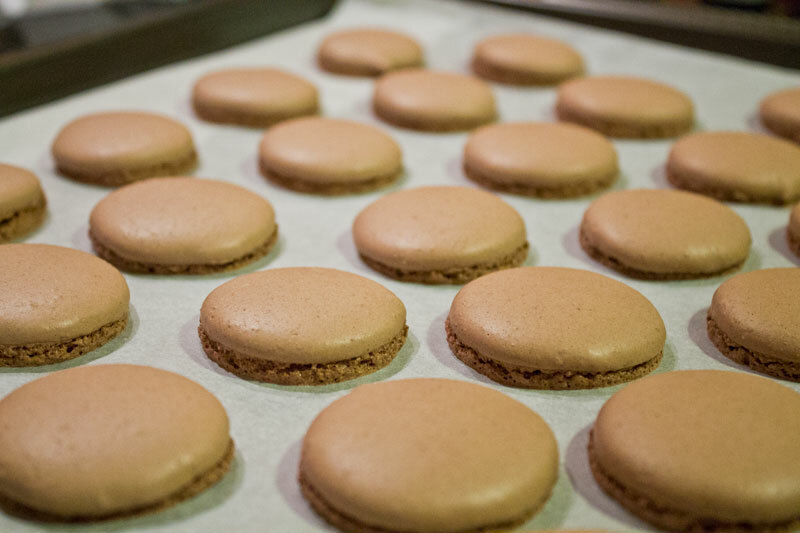 Recently, somebody reminded me: “Hey your road to pastry started because of macarons! Why did you stop baking them?”. 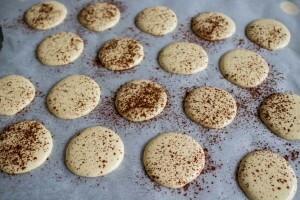 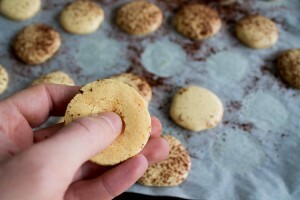 I really did not have a decent reply to that rhetorical question, but I knew it actually meant “Make some macarons! 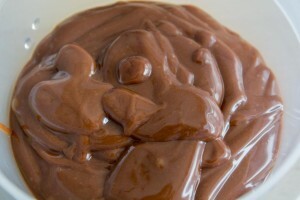 Now!“. So you know what? 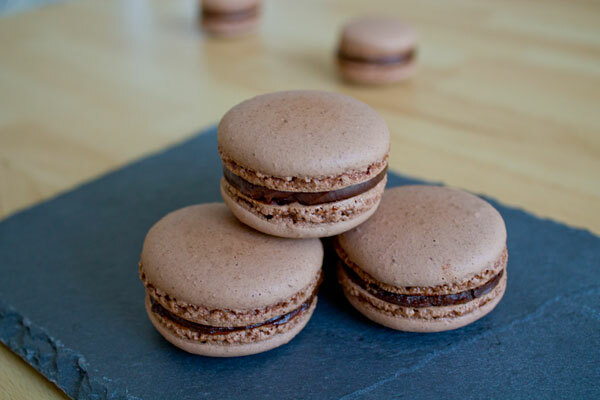 I made some macarons! 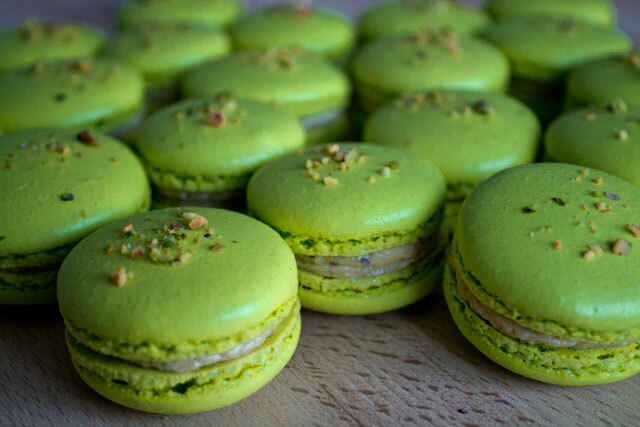 🙂 This recipe of the famous “Mogador” macarons comes from the master himself, Pierre Hermé. 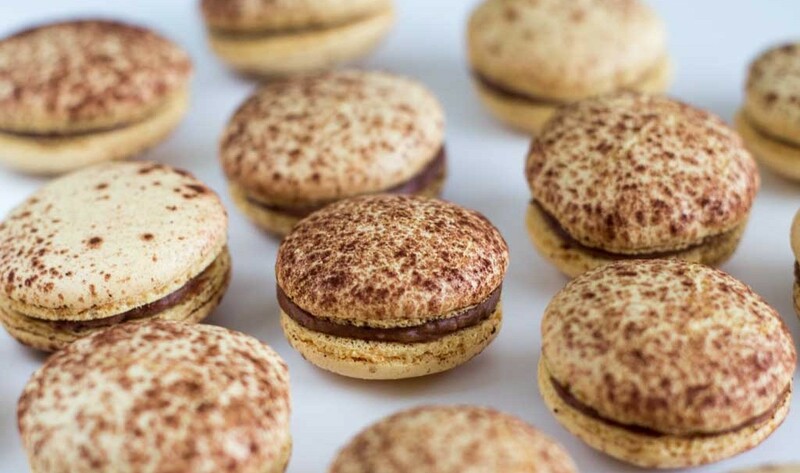 Pierre Hermé creates his products starting from key flavors and applying them to all sort of pastries. 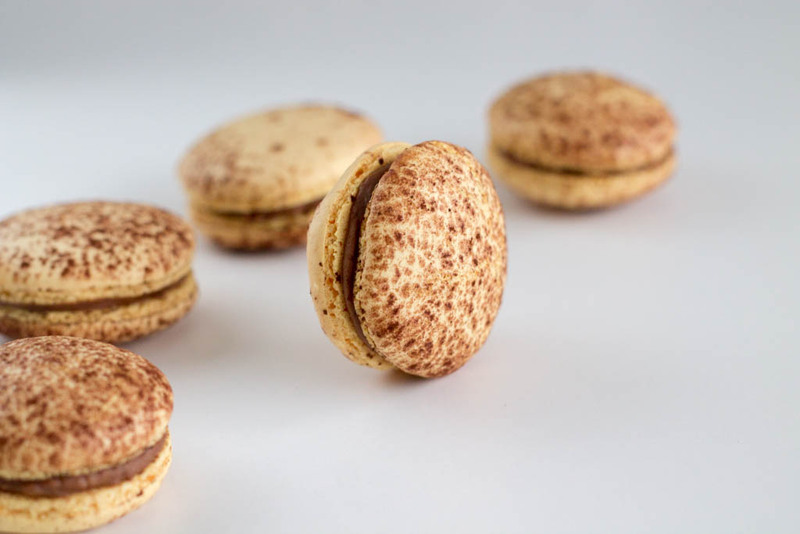 “Mogador” is one of his signature flavors, a mix of passion fruit and milk chocolate, and it’s perfect in macarons. 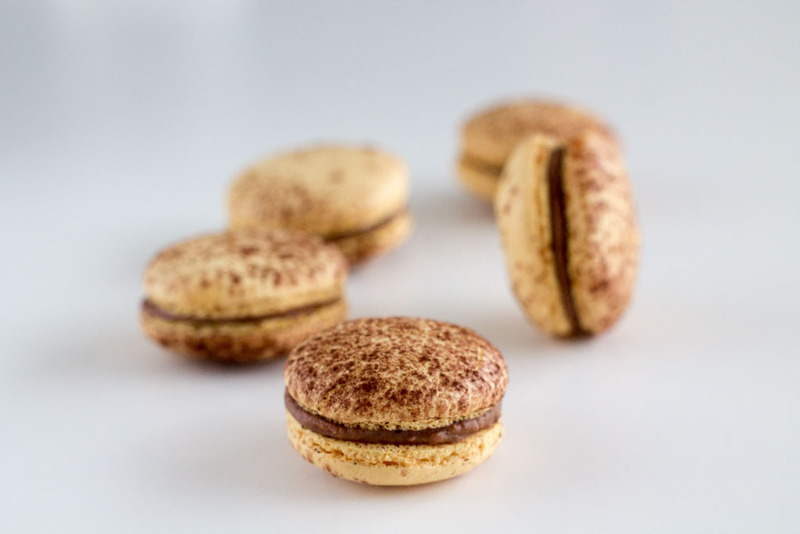 Yellow shells, dusted with cocoa powder, are the visual signature of these delicate treats. 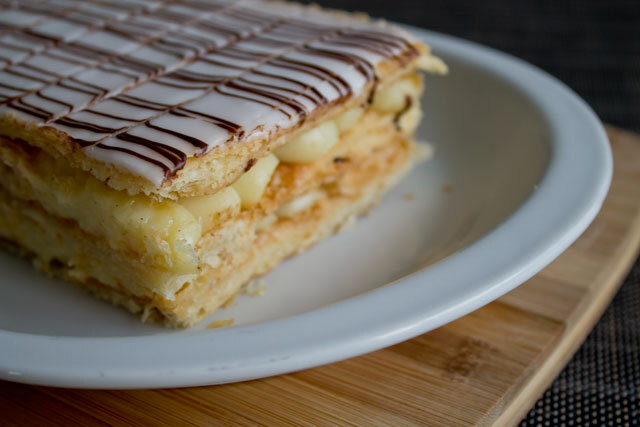 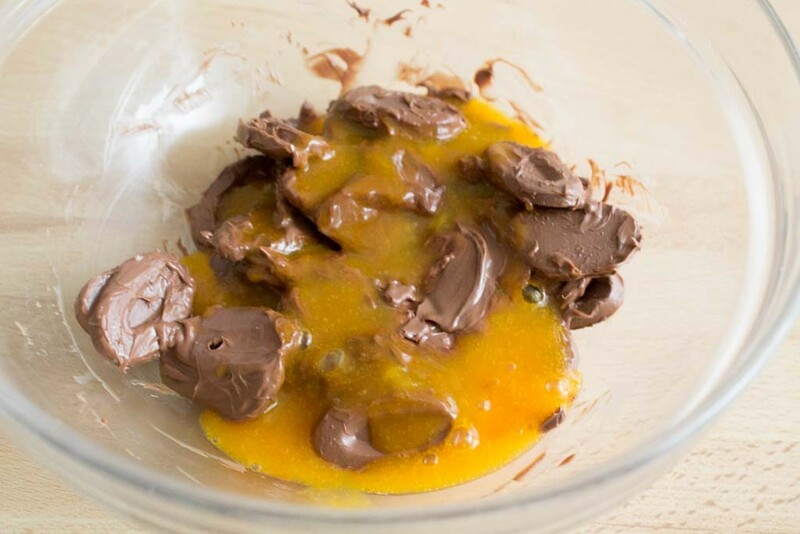 The filling is a fruit ganache, made with passion fruit juice instead of cream and with a Jivara milk chocolate (Jivara is a 40% chocolate by Valrhona; if you can’t find it, you can replace it with a chocolate of similar percentage). 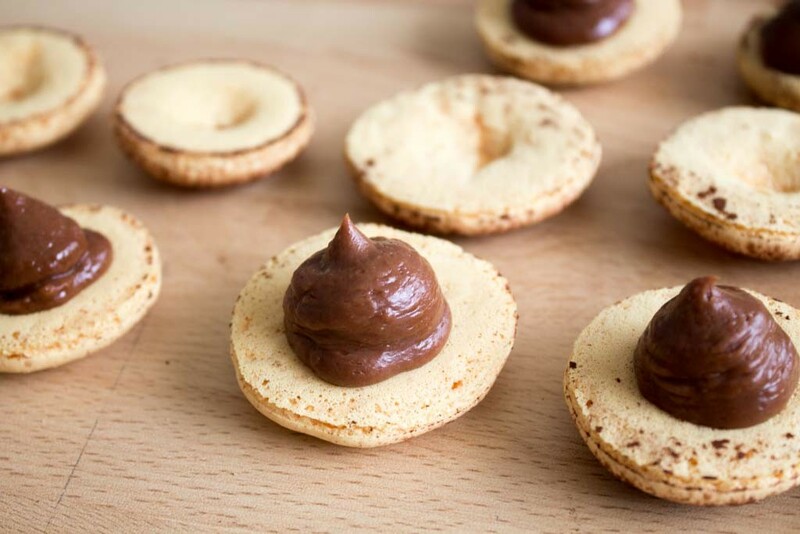 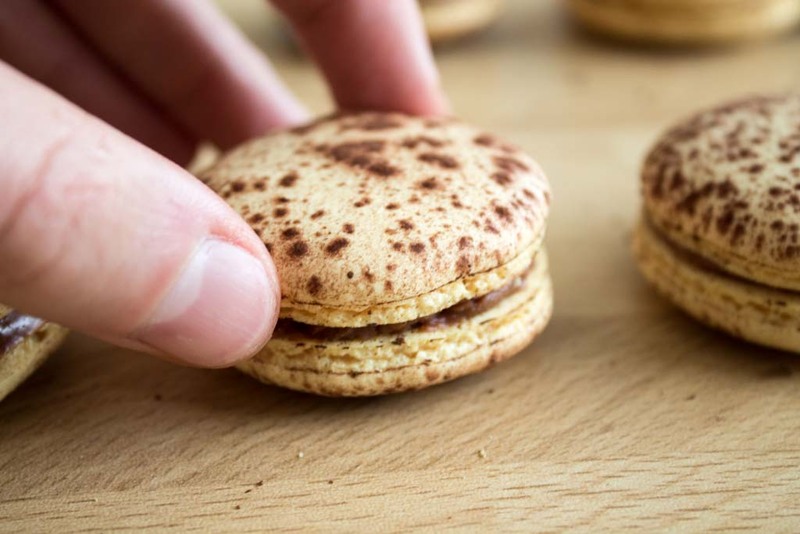 If you’ve never baked macarons, you might want to take a look at this page with some detailed instructions, although the step-by-step recipe below is quite complete. Cut the passion fruits in two and extract the pulp with a teaspoon. 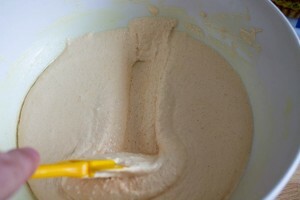 Strain the pulp to remove the seeds and obtain 125g of juice. 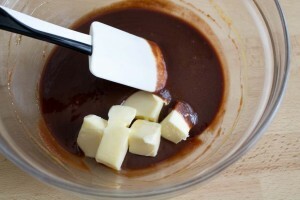 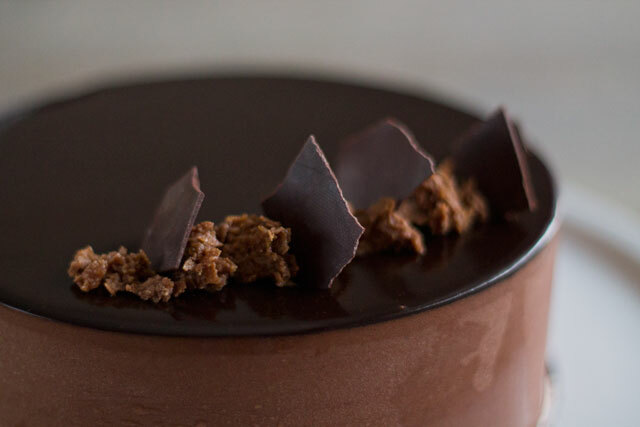 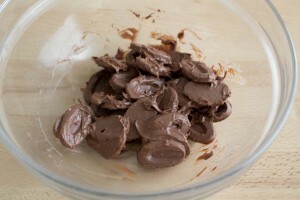 Mix the ganache with an immersion blender for a few minutes to remove all the air. 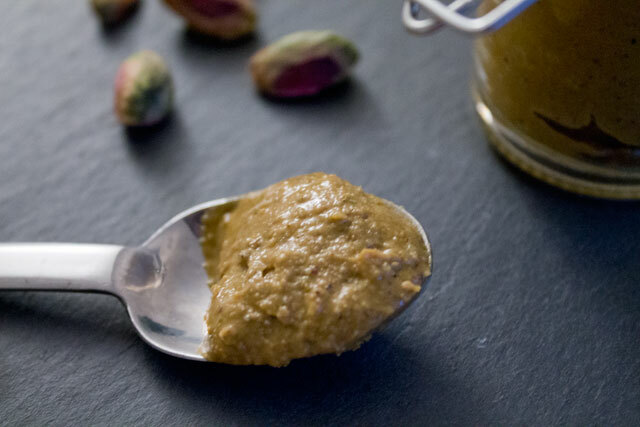 Store in an airtight container in the fridge for at least 6 hours, or better overnight. When the sugar syrup reaches 108°C, start whipping the egg whites with the food colouring at high speed. 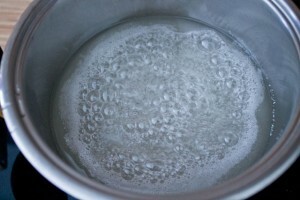 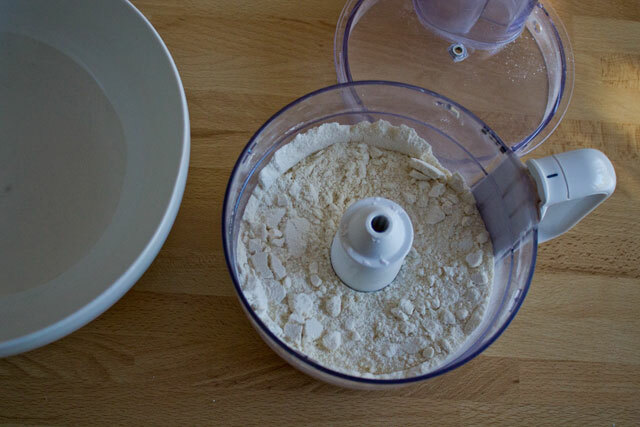 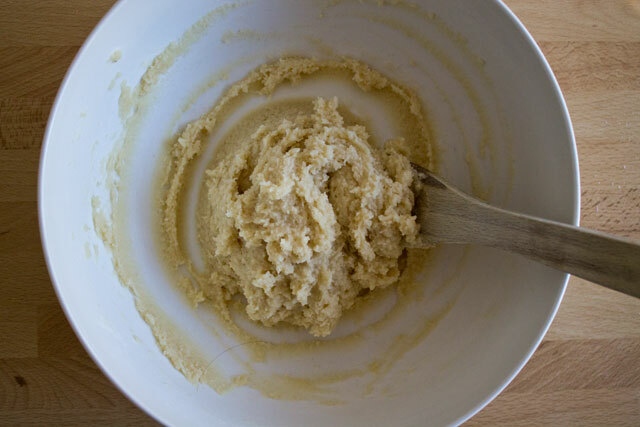 When the sugar reaches 119°C, pour it slowly on the egg whites in a steady stream between the side of the bowl and the beater while the mixer is running. 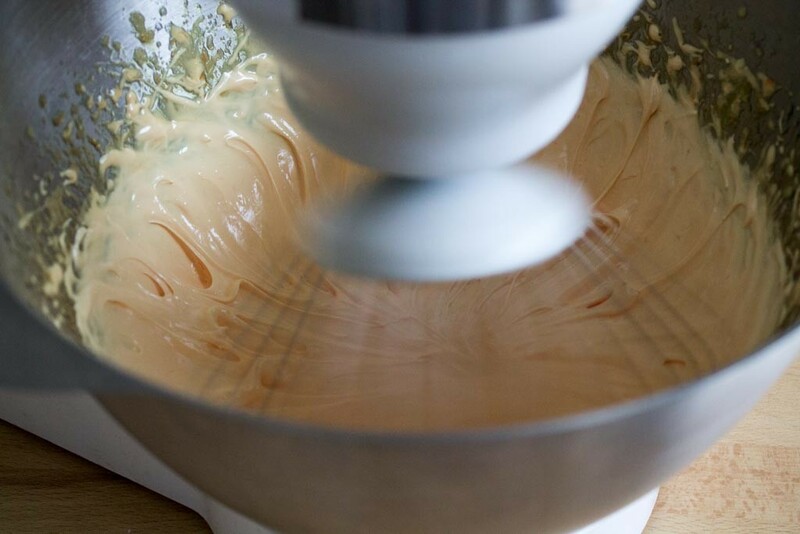 Continue beating at medium speed until the egg whites are completely cool. 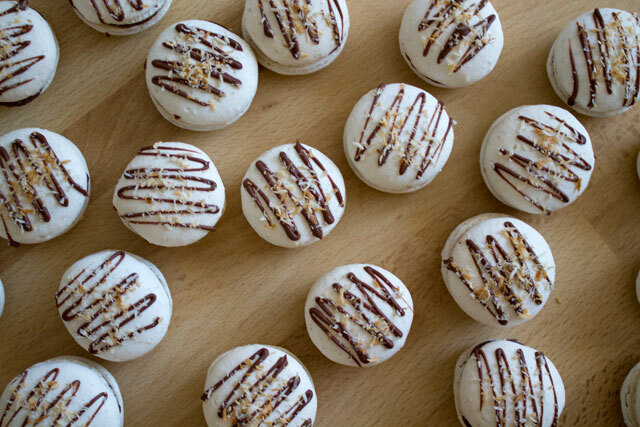 At this point, you have the so-called Italian meringue. 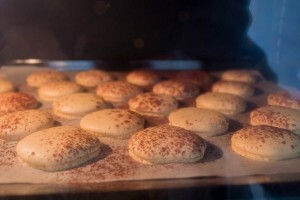 The Italian meringue is ready for macarons when it forms a soft but firm peak usually called "bec d'oiseau" ("bird's beak"). 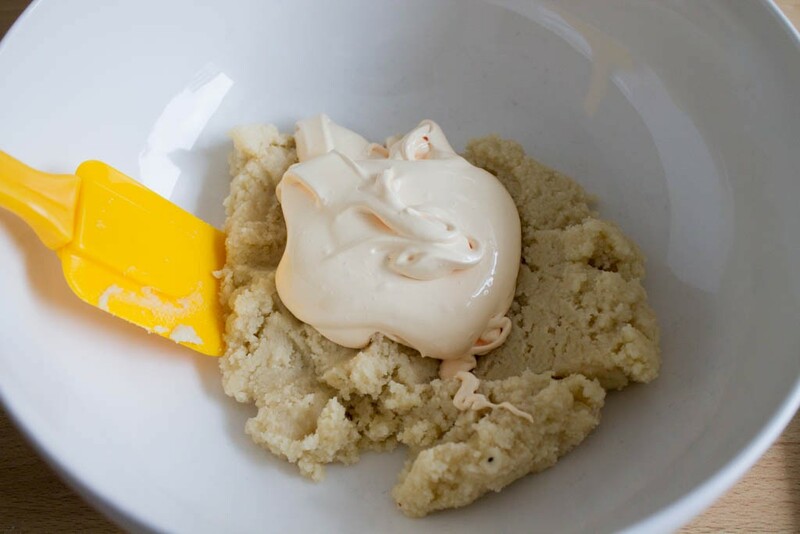 Macaronage: carefully fold in the remaining meringue with an upward movement that starts from the centre and reaches the border of the bowl; at the same time, make sure you slightly turn the bowl in the opposite direction of the spatula. The batter is ready when it becomes shiny and it is not too thick nor too runny. You can check if the batter is ready by passing the spatula vertically in it: if the batter return to its initial position in about 5 seconds, it's ready. 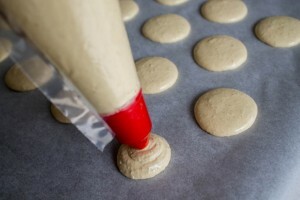 Let the piped batter sit at room temperature for 30-40 minutes, then bake in an oven preheated at 180° for 12 minutes. 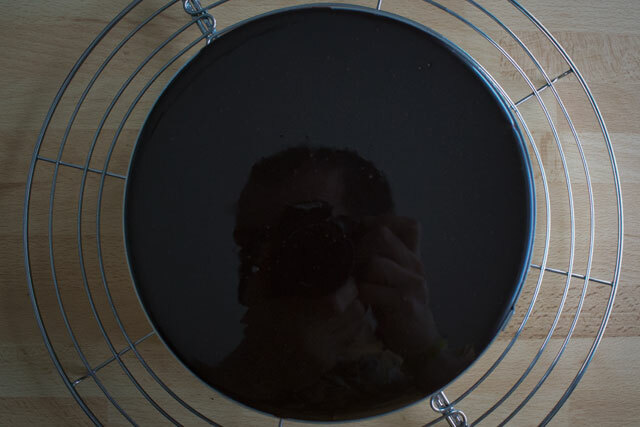 Slightly open and close quickly the oven door after 4 and 8 minutes. 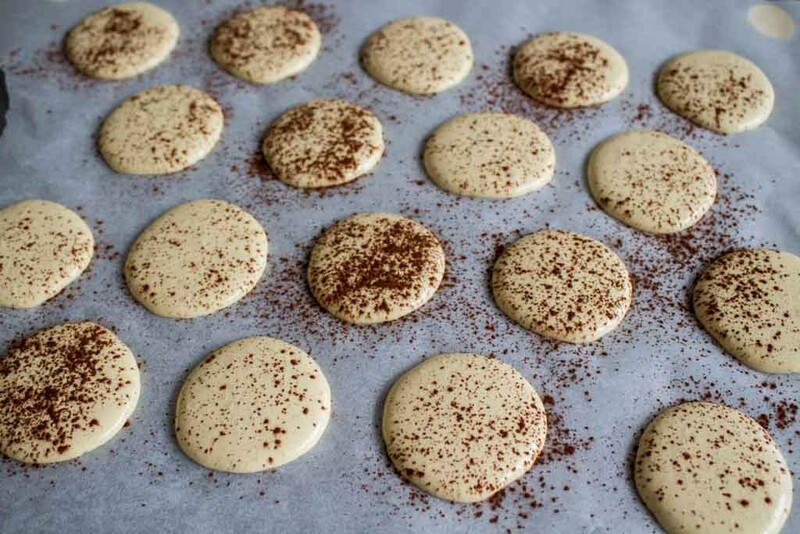 Macarons need to absorb humidity for at least one day in the fridge . Then they can keep for up to 5 days in an airtight container in the fridge and can be frozen as well for several months. 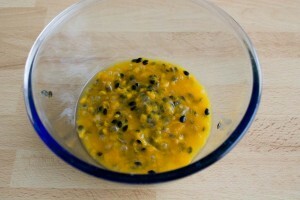 1) It i written 125 g of passion fruit juice and in the process it says 250 g….which is the correct number? 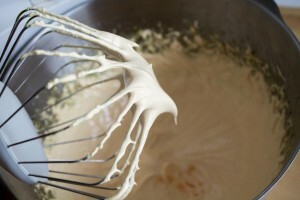 2) we have 55 g of egg white to whip.. it is less than 60 g as written down below..is it suppose to be that little amount?